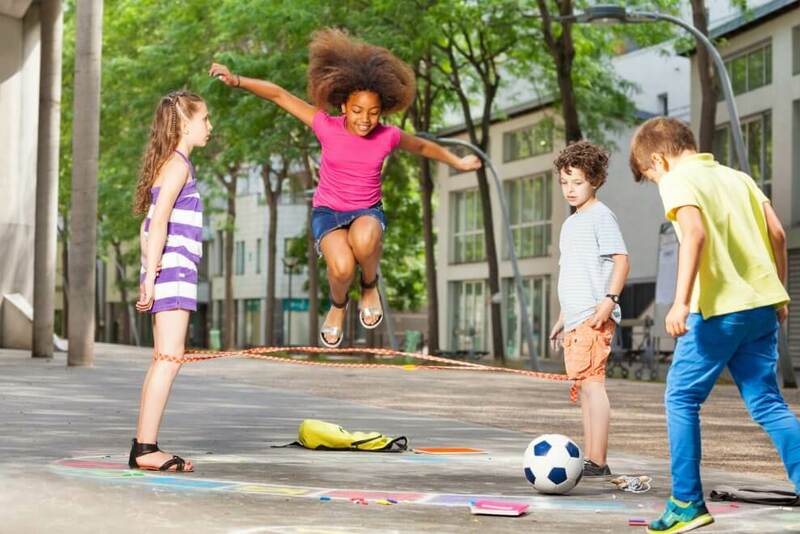 Between hours sitting in school (with recess abridged or abandoned), time spent inside playing video games, and parents preventing kids from playing in messy nature, kids today hardly ever get to spin, flip, roll, climb, hang, race, or shimmy. 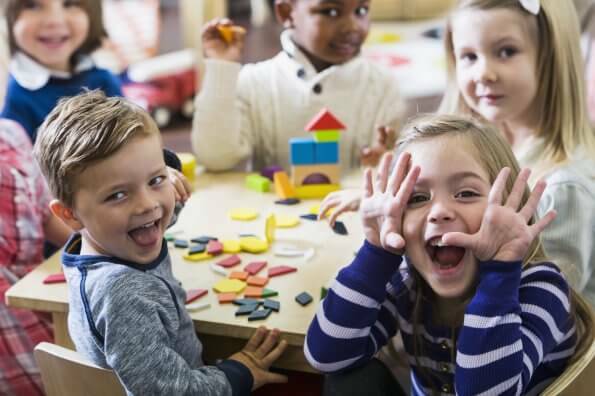 It’s something that deeply worries pediatric occupational therapist Angela Hanscom – who traces these restrictions to everything from kids’ growing inability to tolerate wind in their face to the increasing number who actually fall off their classroom chairs. It’s the reason she started TimberNook, a therapeutic outdoor program for kids, and why she wrote last year’s bestseller, Balanced and Barefoot. 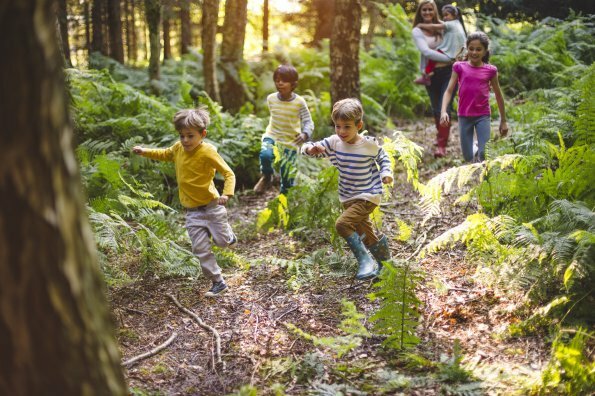 This article, by Meryl Davids Landau, originally appeared in the HuffPost, Kids Should Play Outside 3 (!) Hours Every Day, This Expert Says. Here’s Why — And How To Do It, and has been reprinted with permission. Landau is the author of the new book Enlightened Parenting: A Mom Reflects on Living Spiritually With Kids. Meryl: I know you always felt strongly that kids should move, but did anything change when you had your own children? Angela: Yes, my concerns became personal. I noticed that kids in my neighbourhood weren’t playing outside. Then, when my daughter got to kindergarten, I was stunned when the teacher said they had just 20 minutes of recess – indoors! – and that arts and crafts were done with pre-cut materials rather than help the kids use scissors. And some of my daughter’s friends needed occupational therapy (OT); in the past, OT was used mainly for kids with disabilities. Meryl: And the problems start at the earliest ages? Angela: Yes. We keep babies in containers in upright positions. They’re not crawling around much, which keeps the fluid from moving back and forth in the inner ear and can affect balance at an early age. Even when we put them down outside, it’s usually on a blanket. I have an 18-month-old, and from two months on I place him directly on the grass so he can get more sensory input. Meryl: How does restricting kids’ movement affect them, aside from the obvious that they’re not building muscles or burning calories? Angela: Movement through active free play, especially outside, improves everything from creativity to academic success to emotional stability. Kids who don’t get to do this can have so many issues, from problems with emotional regulation – for example, they cry at the drop of a hat – to trouble holding a pencil, to touching other kids using too much force. Meryl: How much outdoor free play do you recommend? 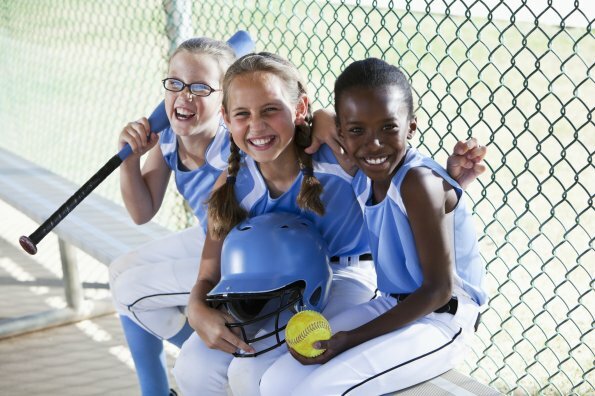 Angela: Ideally, kids should be playing outside three hours each day, and that doesn’t include organized sports. Of course, some of that should be in school, where recess has to be revived and expanded. But in the meantime, parents should do all they can. My kids have only a half-hour recess, so as soon as they get home they go outside. Ask yourself if your kids can walk to school, go out before school begins, and after school before they start homework. Meryl: Three hours! Wow! Even if that could fit into a schedule (and I’m with you that kids have too many planned activities), many parents I know are afraid to let their kids play outside. Angela: I would ask them, “What is your fear,” and then work around it because this is so important. If it’s getting hit by a car, parents should teach their kids, this is how you listen for cars, here are some street-smart rules. But tell them once and that’s enough. If it’s strangers, invite other kids to play outside with yours so there’s a group. Or give them walkie-talkies to communicate with you. Or, you can go outside with them but do something on your own, like yard work, so you’re not entertaining the kids. Meryl: Why is entertaining them not a good thing? Angela: There’s so much value in kids creating play schemes on their own. Kids who are always told how to play have trouble thinking outside the box, and even answering freeform essay questions. Plus, true outdoor free play is like cross training, with the climbing, spinning, going upside down, and the like that adults don’t encourage but that are so valuable for their development. Meryl: So we should just send the kid outside without direction? Angela: Yes, especially with friends or siblings. I like to invite kids over for the whole day, not just a two-hour play date. When kids first get outside, they don’t have ideas about what to do – if they see a stick, it’s just a stick. But the next time maybe they decide it’s a good tool so they’ll dig with it. Over time, they’ll come up with more complex levels of play. Meryl: Are you a fan of swingsets or playsets? I know my kids hardly ever used ours. Angela: Kids usually master the typical set by four or five, and then they lose interest. At our house, my husband built a playset higher than usual, with spinny things and see-saws. A rope swing is also great. But you don’t need these things for your kids to have fun. Meryl: What are other good things to put in the backyard? Angela: I like having materials that kids can move around, which we call “loose parts.” Objects like stainless steel trays, transparent curtains, pitchers, and various kitchenware – the latter especially after it rains. These things are open-ended and help with inspiration, so don’t tell your child how to use them. If there’s a fallen tree or a low wall, let them climb on it. 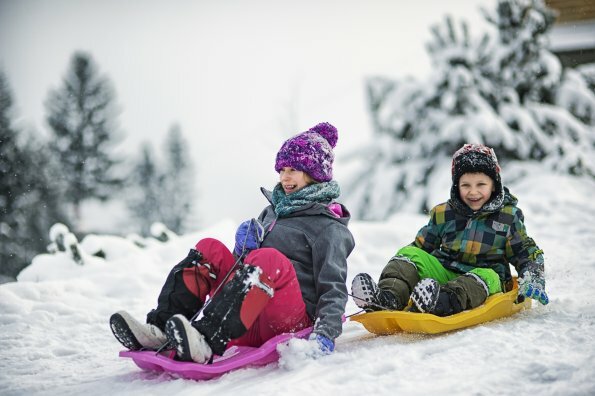 Parents worry about kids falling, but they quickly learn to regulate their body. Meryl: How old do you think kids should be before we let them go outside away from the house? Angela: People today often wait until 12 to give their children any autonomy, but that’s too late, because the earlier years are critical for physical development. Of course, if they’re very young, you should be with them. But once they’re eight or nine, let them go off with other kids in the neighbourhood.